Do you ever find yourself trying to figure out the law all on your own? Whether you’re looking for answers on divorce, labor law, custody, elder law or family law (plus pretty much every other type of law), you can ask your questions on LawGuru.com. The best part of this online legal Q&A is it’s FREE! All the attorneys reading and answering your questions are certified attorneys and specialize in the area of law you are/going to inquire about. The site is super user friendly as you can ask your questions right on the home page of the site as well as browse past questions and answers. They even organize the answers by State in ensure you are getting the right answers. Another service they offer is providing legal forms such as wills, trust, divorce, contracts, and the list goes on and on. If you happen to not get the answers your looking for, you can always search for a lawyer in your area specializing in whatever your current needs might be. LawGuru has truly put together a plethora of information right here at your fingertips. 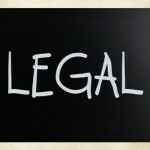 Take advantage of the free legal advice, not to many things in life are free these days. I have several questions about how to get divorce forms that I can download and print out and is according to the Arkansas legal divorce regulations governing contract. I have always been a stay at home mom, while see poise is a truck driver that is not driving only 2 days out of the week. The only thing he has done is provide financial support after all, I am raising his/ my step daughter and our 2 sons. I have been verbally, emotionally,.and been made to think that I am crazy. He acts as a narcissistic personality. I have no money or access to money. I want out and I need help. If I could get the forms downloaded for free that would be a start. Hey Natasha, I see you posted this over a year ago but everything you described sounds like my situation. I have been a stay at home Mom as well, he has narcisstic personality too. We are separated but still live together. I want out but he keeps putting fear in my head that I can’t do this. He makes good money but thinks I won’t get much out of him and basically says he will be living the life while I struggle. Do you have any advice for me? What was your end result? I hope everything worked out for you. If you are willing, I would love to talk! HI i need to know how or what i need to do to divorce my husband that has been in mexico now for two years..he has charges of domestic violencethat i was involved in how do i do it and divorce him?